Services will be held Friday, February 6, at 2:00 p.m. at New Haven United Methodist Church, 5603 South New Haven Avenue, in Tulsa for former State Senator Jerry L. Smith. 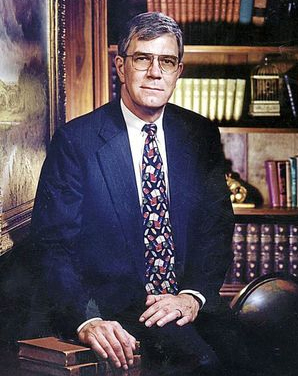 Retired from the Oklahoma Legislature for a decade, Smith passed last Friday at the age of 71. He had served Senate District 39 until 2004. Smith was first elected in 1972 as Oklahoma House member for District 76, Tulsa. Smith was the husband of Sally Howe Smith, also long serving as the the Tulsa County Court Clerk. Jerry Smith was born Dec. 6, 1943, in Muskogee. He graduated in 1961 from Central High School and attended Oklahoma State University from 1962 to 1967 the earning his law degree in 1970 from the University of Tulsa School of Law. Smith was talented, dedicated and capable as an attorney and public servant. He rose to various leadership positions and announced a bid for governor in 1990 but never officially filed. At the time of Smith’s campaign, he was vice chairman of the Senate Judiciary Committee and a member of the appropriation and budget, economic development and general government committees. Serving in the Oklahoma Legislature for 32 years, Smith was among the first 40 lawmakers ousted from their seats because of then newly imposed term limits. This entry was posted in Local on February 4, 2015 by admin.